There are many surveys who over time have proved the real benefits of natural light in architecture. In fact, it’s a must-have feature for any living space. According to a survey by Origin Global, 26 per cent of people choose natural light as the ‘must-have’ feature for a family home, trailed by 19 per cent choosing a safe, large garden and 16 per cent favoring an open-plan kitchen/dining room. And why not? Natural light can make a home naturally a lot brighter and adds a sense of openness. Interior Design = Playing With Lights? Many people think, interior design is the game of playing with lights all around. But when it comes to getting greener and smarter, the idea should revolve around picking and choosing the area where you can save or splurge – Remember at the end we don’t want to waste electricity. Unquestionably, lighting can have a major impact on your entire living space. But what if your budgets are at stake? Thankfully, there are simple and affordable design tricks which can help illumine any room without breaking your bank accounts. The secret lies in leveraging Natural light to the fullest. 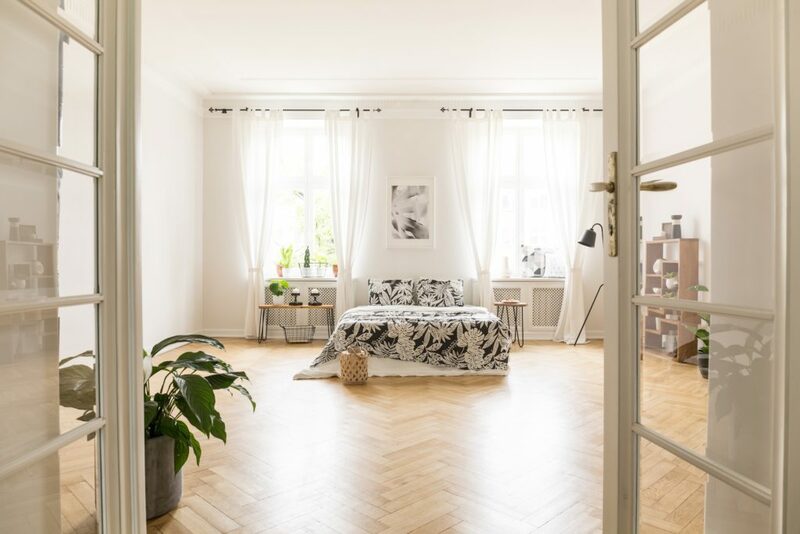 Increasing the amount of natural light in a living space reduces your dependence on artificial light during the day while boosting your sense of well-being. 1. Introduce lighter shades to the walls by dark block colors and expelling statement wallpaper in favor of an easy shade of white paint. 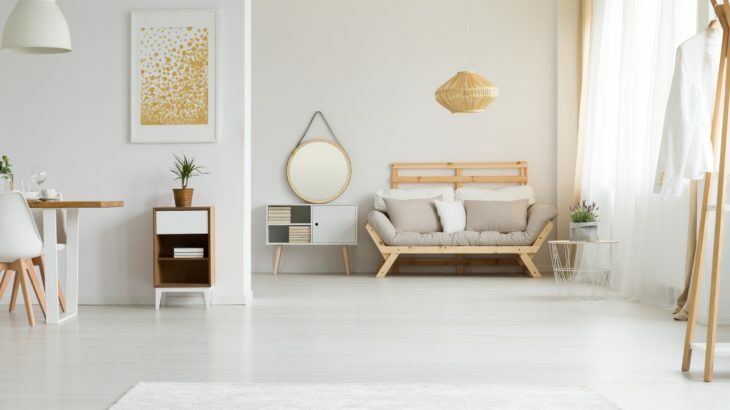 Light shades of white tend to make any space feel a lot brighter since it mirrors the natural light entering the room, instead of absorbing it up. 2. Glossy finishes and shiny surfaces in the kitchen and bathroom again reflect light making space look bigger and brighter. 3. Now for the floors, wooden, ceramic or stone floors with a polished finish, reflects a lo of light. But again, if you like carpets, stick to light neutral colours. 4. Trim down the trees, bushes or climbing plants a little bit if they are growing around your doors and windows. Over growth of these can restrict the natural light from flowing in freely. 5. Go transparent with door and window panes, basically use glass or any transparent materials. These ensure a lot of natural light can filter through. 6. Eradicate dark furniture and accessories wherever possible, especially if they are blocking light from doors and windows. Pay special attention to curtains and blinds as dark and heavy treatments can block light from penetrating in. 7. Skylights are an excellent way to add natural lighting to a living space. Gone are the days when problems like leakages were associated with Skylights. With construction technology getting modern and hi-tech and improved installation techniques are making installation of skylights much easier and convenient. 8. For those constructing new house or remodeling an existing one, if you have a budget, then install large new windows and doors. This is one of the best ways to increase the levels of natural light in your home. 9. Create the Mirror effect. Tactically placed mirrors help in trapping most of the natural lighting. By simply positioning a huge mirror on a wall opposite to a window, the mirror reflects incoming light and creates the impression of a lighter, bigger space. 10. When looking to the furniture accents in your space, consider replacing the heavy, dark, and faux fur throw pillows with lighter texture and color. 11. Integrate metallic accents throughout your living space. Silver and gold are natural reflectors of light, so try placing metallic table lamps on side tables, or add a silver bowl or gold storage box to your centre table. 10. Last, but not the least is opening your door and windows to daylight. Make sure that daylight can actually access your home. Natural light is much-much better than artificial light. It immerses your space in a rich full spectrum hue which light bulbs can only wish to replicate; upsurges your body’s “feel good” serotonin levels; and best of all, it costs exactly zero rupees. So, Let The Light Flow In! Home Ideas Natural Light, Natural Light In Architecture, Natural Lighting. permalink.